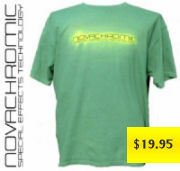 These t-shirts and other garments can change color by wearing or touching them. The heat from your body, hand or the environment makes this clothing change color. Once cooled the fabric changes back to the original color. 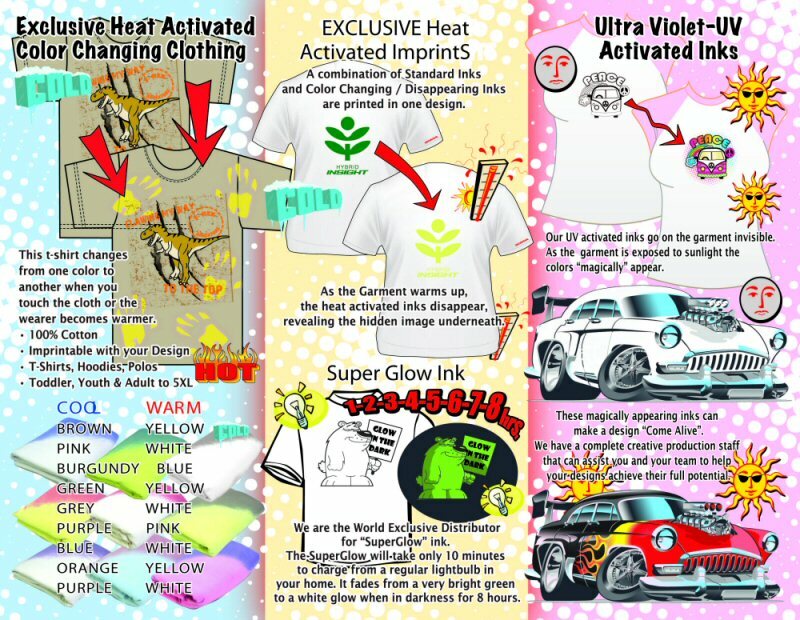 These t-shirts have color changing screen prints when exposed to sunlight. The screen print appears as a black and white image with color highlights when indoors but once you go outside into the sun it appears in full color. 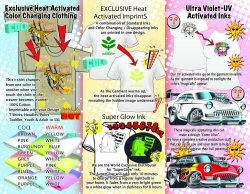 These t-shirts have color changing screen prints which are activated by heat. The screen print vanishes when heated to show hidden messages underneath. NOT JUST 15 MINUTES OF GLOW BUT 1,2,3,4,5,6,7,8 hours. Our SuperGlow screen prints can be charged with a regular lightbulb in 20 minutes and will glow not for 15 minutes like the regular prints but for 8 hours. Our fabric changes color when heated. The fabric can be used for creating your own garments for fashion shows and retail apparel. We can print on collapsible Koozies your image with our color changing and glow technologies with very precise registration so that prints do not look smudged like most Koozie printers. We provide traditional screen printing services for all your occasions such as Team Jerseys, special occasions, festivals and any other situation where you need regular screen printing services. 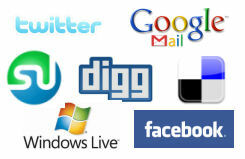 You can now tell your friends about all our products by emails or on the world's most popular social networks. Share on all product pages near the ADD TO CART button. Our pink to white heat activated Body Faders t-shirts are a big hit at the Breast Cancer Walk with a custom screen print "Making Strides". 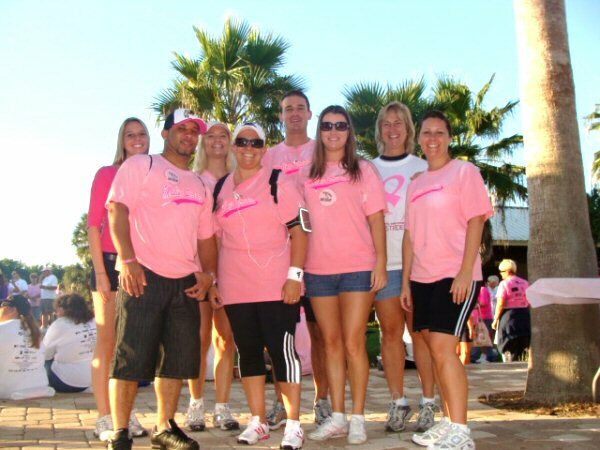 If you are interested in apparel for your walk or event then please contact us. CLICK HERE TO ORDER CUSTOMIZED T-SHRITS FOR A SPECIAL EVENT . 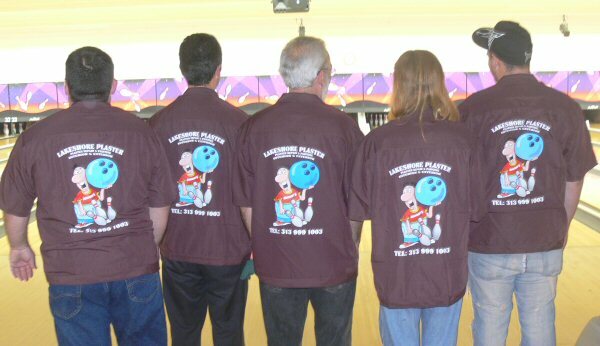 These bowling shirts have glow in the dark embroidery on the chest, a high res print on the back and superglow Body Faders Bullet logo on the sleeve. 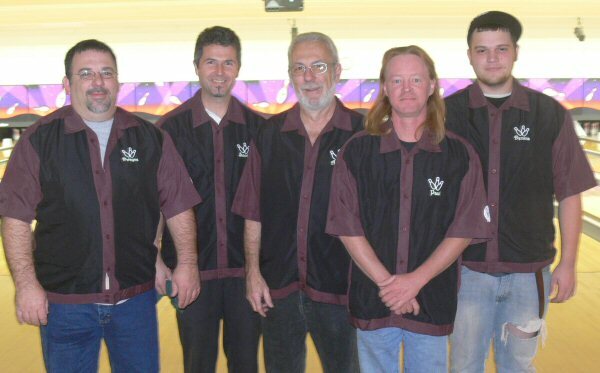 We can custom make all your teams shirts in one week. CAN I GET COMMERCIAL CUSTOM SCREEN PRINTING? 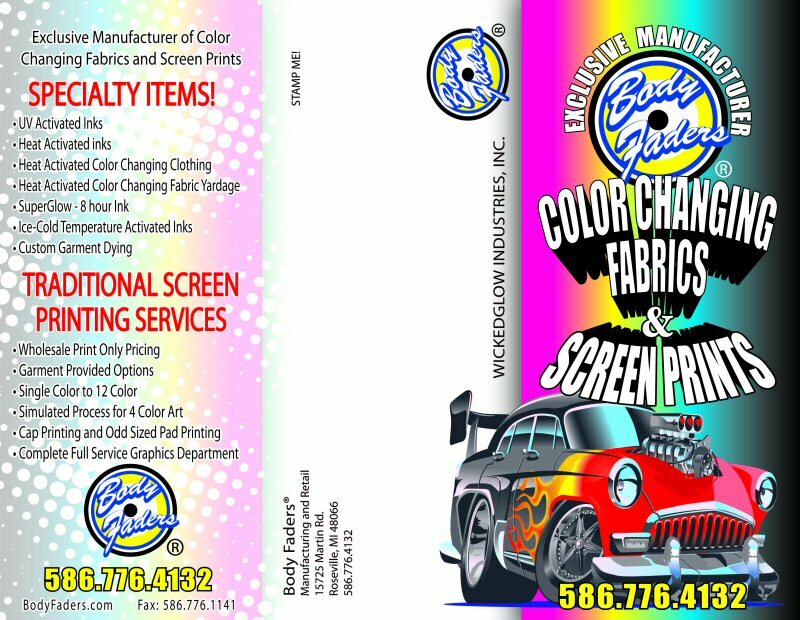 We provide full custom screen printing services for use with all our technologies. We can print your design or use our art department to make you a personal design. We also offer regular screen printing services with no special effects for your business or special occasion. We can provide vectorizing services, flat screen printing, 4 color process, simulated process and many other regular screen printing techniques. One of our presses can produce 2,000 unit/day. 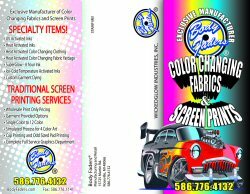 CLICK HERE FOR COMMERCIAL CUSTOM SCREEN PRINTING. HOW DO I CARE FOR MY SPECIAL EFFECTS GARMENT? 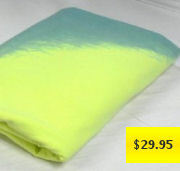 All our products can be machine washed and dryed. Always wash your clothing with similar clothing such as our white sun activated t-shirts should only be washed with other white clothing. Our Super Reacto t-shirts should be washed with other colored t-shirts and dresses. - DO NOT USE DETERGENTS THAT CONTAIN BLEACH OR COLOR ENHANCERS. - DO NOT DRY CLOTHING IN DIRECT SUNLIGHT. A tip when washing any t-shirt is to turn the t-shirt inside out so that the screen print is not beaten so much by the machines agitator. HOW SHOULD I STORE MY SPECIAL EFFECTS GARMENT? Our special effects will diminish is left to UV rays from the sun or UV rays from high powered lighting. Place your special effects garment in a draw or closet to stop harmful rays while not using. Pre longed expose to UV light will effect the performance of your garment. This does not mean that you cannot wear your garment in the sun. It simply means that UV light destroys everything when expose for long static periods.